Kampala bombings: justice at last? On the night of the FIFA World Cup final in July 2010, twin suicide attacks ravaged Uganda’s capital, Kampala. As a result, 74 people died, 70 were injured and the nation was left devastated. Last week, on 26 May – just over a month shy of the six-year anniversary of the attacks – the Ugandan International Crimes Division of the High Court handed down a landmark decision convicting several of those accused of masterminding the attacks. The suspects’ charges included terrorism and 76 counts of murder. In handing down the court’s decision, Justice Alphonse Owiny Dollo stressed the significance of the case. In a marathon, six-hour-long judgment – what seemed like a symbolic (even if unintended) hour for every year since the attack – Justice Owiny Dollo detailed the events and the various roles played by the accused. Their sentences were handed down the following day, 27 May. The evidence showed that the attacks were planned in Somalia, and the explosives transported to Uganda via Kenya. The accused came from Kenya, Uganda and Tanzania; an odd show of regional collaboration and the transnationality of crime. Incidentally, it was through concerted regional collaboration and cooperation that Ugandan authorities were able to get the evidence they needed in this case. Indeed, in complex criminal cases such as this, cooperation is key in ensuring convictions for terrorism and transnational crime. Eight of the 13 men on trial were convicted on a range of charges. There was insufficient evidence to convict the other five. Key in this case was the evidence of two self-confessed conspirators, Mahmoud Mugisha and Edris Nsubuga. Their evidence crucially provided background information about the planning and execution of the attacks, and highlighted the importance of ‘insider witnesses’. Mugisha, for his part, provided critical information about his training in Somalia by al-Shabaab, together with five of the main suspects. He also detailed his role in transporting the explosives from Nairobi to Kampala. Mugisha was arrested at the border between Kenya and Uganda, but the man he was travelling with (one of those now convicted, Suleiman Hajjir Nyamandondo), managed to slip past and deliver the bombs to Isa Ahmed Luyima, also known as ‘Moses’. For cooperating with the state, Mugisha served a five-year sentence for conspiring to commit terrorism. Nsubuga was sentenced to three concurrent 25-year sentences over his alleged involvement in the Kampala attacks. In addition to Mugisha and Nsubuga, the prosecution presented evidence from over 70 other witnesses. These witnesses included survivors of the attacks, and security operatives from Uganda, Tanzania, Kenya and the Federal Bureau of Investigation. The prosecution left little to chance. One of the accused, Isa Ahmed Luyima, was found to have masterminded the attacks. The court agreed that there was compelling evidence against him – including critical DNA evidence and handwriting analysis. Notably, the court heard that Ahmed Luyima underwent training with al-Shabaab in Somalia before heading to Uganda in January 2010 to plan the attacks, including recruiting people and scouting for potential targets. Luyima was sentenced to life in prison. The others convicted for terrorism, murder and attempted murder were Hussein Hassan Agad, Idris Magondu, Habib Suleiman Njoroge and Muhammed Ali Muhamed. They were also sentenced to life in prison. Also convicted were Suleiman Hajjir Nyamandondo and Hassan Haruna Luyima; both sentenced to 50 years in prison. In sentencing the main perpetrators to lengthy jail terms (but rejecting the prosecution’s request for death penalties), Justice Owiny Dollo underscored that the death penalty would play into the hands of terrorists and would not bring closure to society. Uganda, though it still retains the death penalty, has not executed anyone in over a decade. In 2009, the Ugandan Supreme Court confirmed an earlier Constitutional Court decision that the death penalty as a mandatory sentence is unconstitutional. The eighth convict, Muzafar Luyima, was convicted only as an accessory and for aiding and abetting. His sentence is two days of community service per week for one year. The sentence, however lenient, considers that he had been incarcerated for close to six years since his arrest. While all were convicted for terrorism-related offences, they were not convicted of being part of a terrorist organisation. When the crimes were committed in 2010, al-Shabaab was not listed in Uganda’s Anti-terrorism Act as a terrorism organisation. As of Sunday 29 May, the police continued to detain the five men who had been acquitted by the court. While the reason for this remains unclear, it could be because Justice Owiny Dollo noted that their acquittal on terrorism charges did not mean other cases would not be opened against them in future. So, six years after the attacks, there is some finality; at last. The time it took to finish this case speaks to the difficulties faced in complex criminal cases. Significantly, it was the first major terrorist case under Uganda’s new anti-terrorism law; which made its proper handling all the more important. Furthermore, the trial, which was meant to begin 2011, has faced several setbacks. The first major delay came in 2011, when the Kenyan and Tanzanian accused contested their arrests and delivery to Uganda – alleging that they had been abducted. The suspects also claimed that intelligence officers from Kenya, Tanzania, Uganda, the United Kingdom and the United States treated them cruelly and inhumanely. After the Constitutional Court dismissed the application and the trial resumed, some of the suspects claimed that their confessions had been made under duress. They alleged that security operatives tortured them while at safe houses in Kololo, Kampala. The suspects detailed several forms of torture, including threats of death and being forced to eat pork against their Islamic faith. They also alleged that their tongues were pierced and their testicles squeezed. This was accepted by the court, and it was decided that the court would not rely on the impugned confessions. 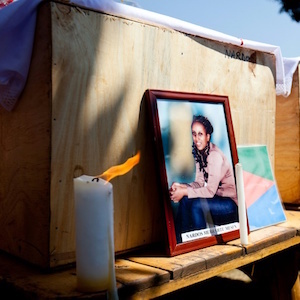 The trial eventually started in March 2015, but was once again suspended after the then lead prosecutor, Joan Kagezi, was killed on 30 March – reportedly by assailants aligned to al-Shabaab. The trial only resumed in June 2015. Last week’s convictions and sentences were thus a very long time coming. In the years since the Kampala attacks, there have been several other terrorist attacks in East Africa. In Kenya, two serious examples come to mind. In September 2013, Westgate Mall in Nairobi was held under siege by armed men, resulting in at least 67 deaths. In April 2015, al-Shabaab claimed responsibility for an attack on Garissa University College, in which 148 people were killed. Justice for these attacks is yet to be served. With some closure to the Kampala bombings case, one hopes that survivors can find peace in justice being served. But with terrorist attacks still ravaging the region, and the continent, reactive justice alone may not be enough. In celebrating convictions of those who carry out terrorist attacks and their accomplices, attention must also be paid to how the criminal justice system and other actors can work to deter these crimes. Prevention, it is said, is better than cure.